"miniBoss" is the most anticipated new Downtown bar in years. The owners of Original Gravity (San Jose's first bar exclusively dedicated to craft beer) and Paper Plane (one of San Jose's first craft cocktail bars) are now opening a third venue at the corner of Santa Clara Street and 2nd Street. This is a very high-profile and easily accessible space that was last occupied by Toons years ago. Clocking in at 5,528 SQFT, miniBoss will host dozens of old-school arcades and pinball machines. Given its pedigree, craft beers and cocktails are guaranteed. The venue will also have a full kitchen which will likely serve up surprisingly good pub fare if Paper Plane and Original Gravity are any indication. It will provide a unique entertainment option that simply does not exist in Silicon Valley right now and be yet another "cool" thing to do in San Jose. 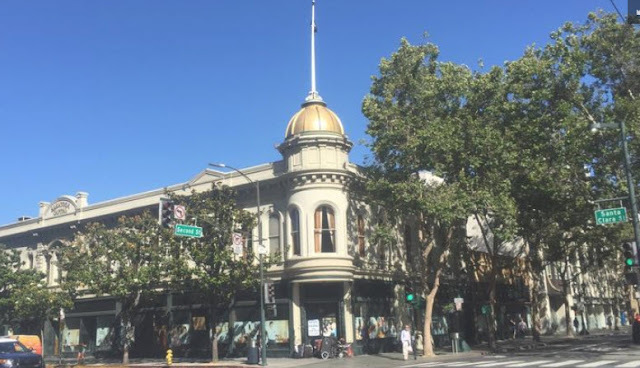 Downtown San Jose is finally getting the traction and attention it deserves and miniBoss will undoubtedly be an anchor tenant for the growing numbers that live, work, and play Downtown. I'm greatly looking forward to its grand opening this summer. Hasn't downtown been booming since 7 years? I thought downtown finally got traction and attention since San Pedro Sq. Market opened. SPSM was the start of the last real boom which was a slow simmer, but we're about to hit a new era even if Google doesn't move Downtown. More people around the Bay actually know what DTSJ is, but it is still missing that true destination vibe. We're very close though.